If you've sat through any of the Madagascar films, it's likely that the supporting stars are what made you laugh the most. Most notably, the penguins. The Dreamworks executives caught on to this, giving them their own TV show and now a movie. 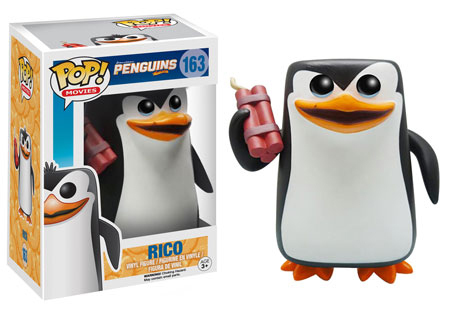 The 2015 Funko Pop Penguins of Madagascar vinyl figures are further evidence of their popularity. The set has four figures, three of which have distinct looks and molded accessories, and one more generic-looking penguin one could easily use to build an army. 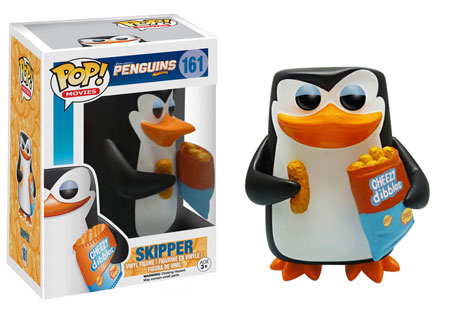 Skipper comes with his favorite snack, a bag of Cheezy Dibbles. Kowalski keeps the crew of spy penguins organized and in line with a clipboard. Then there's Rico and a bundle of dynamite. Private comes all on his lonesome. While he's somewhat plain, he could conceivably be used in any situation requiring penguins. 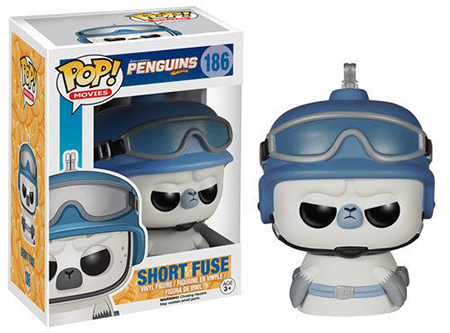 Not long after the penguins are released, Funko has plans to add Short Fuse, a small polar bear from the movie, to the lineup. 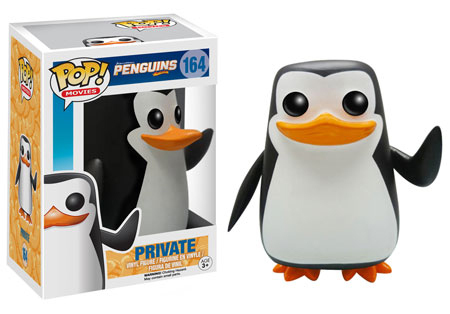 2015 Funko Pop Penguins of Madagascar vinyl figures are numbered as part of the Pop! Movies line. Sold separately, each stands about 3 3/4" tall. Click on the links or images to order specific figures from Amazon. 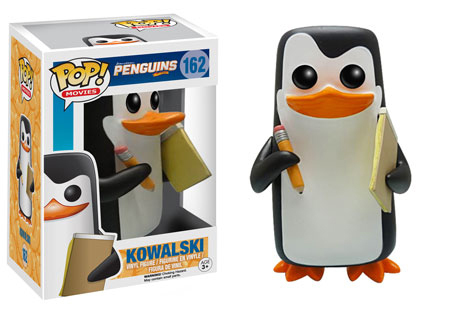 PENGUINS OF MADAGASCAR POP! SHORT FUSE #186 VINYL FIGURE FUNKO - IN STOCK!